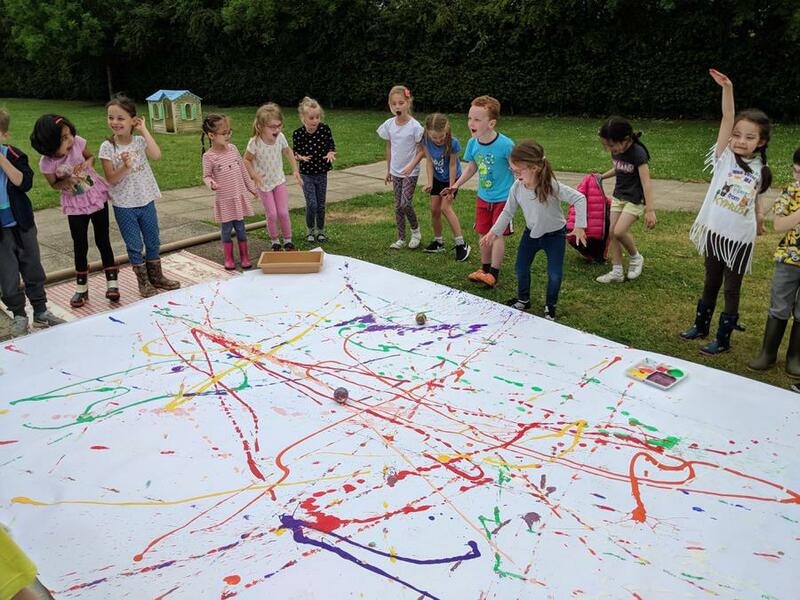 Big Art in Class 2! 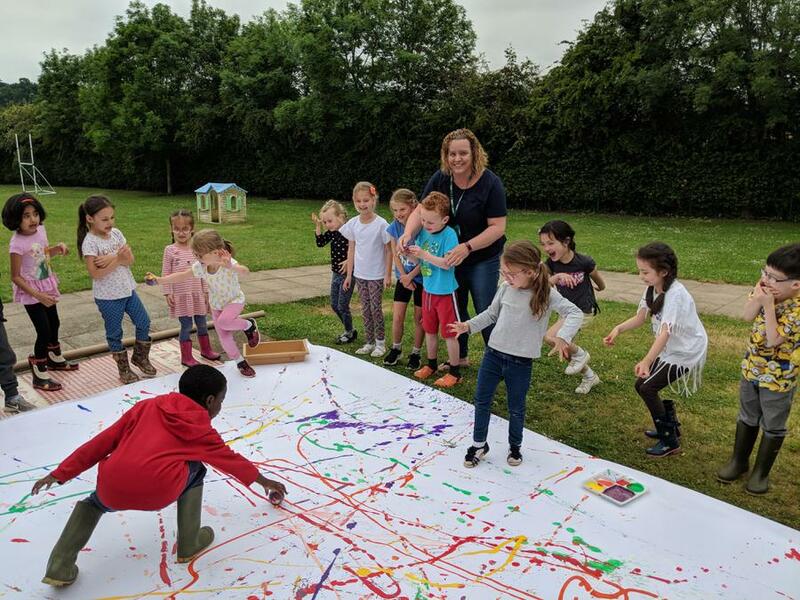 There was a very creative end to the week in Class 2 this week as they enjoyed taking part in some artwork on a giant scale! 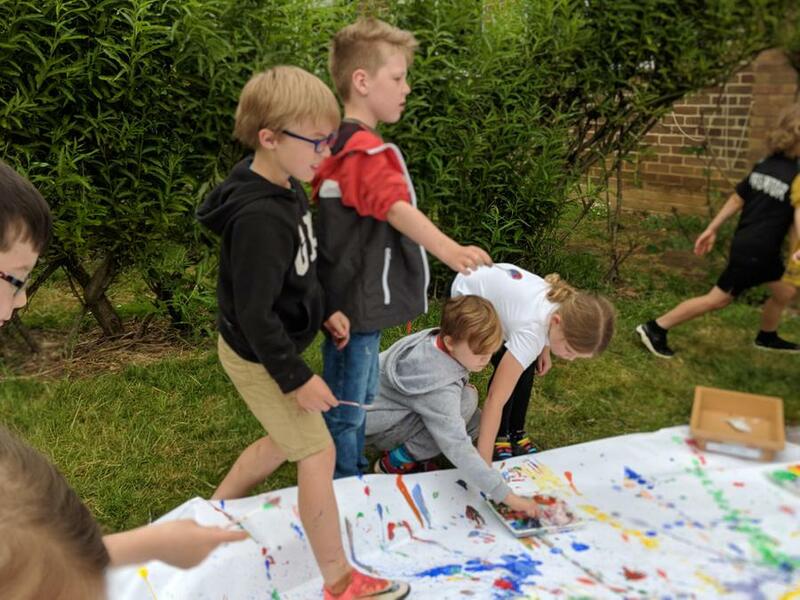 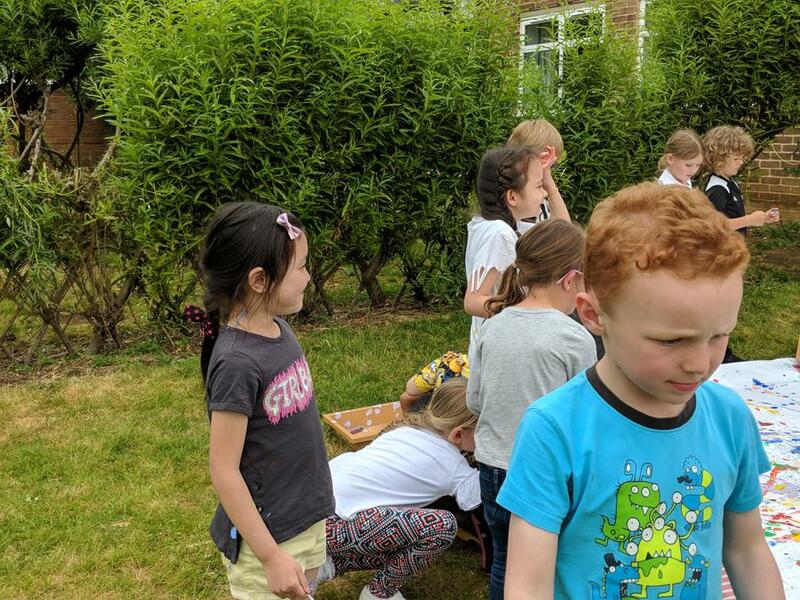 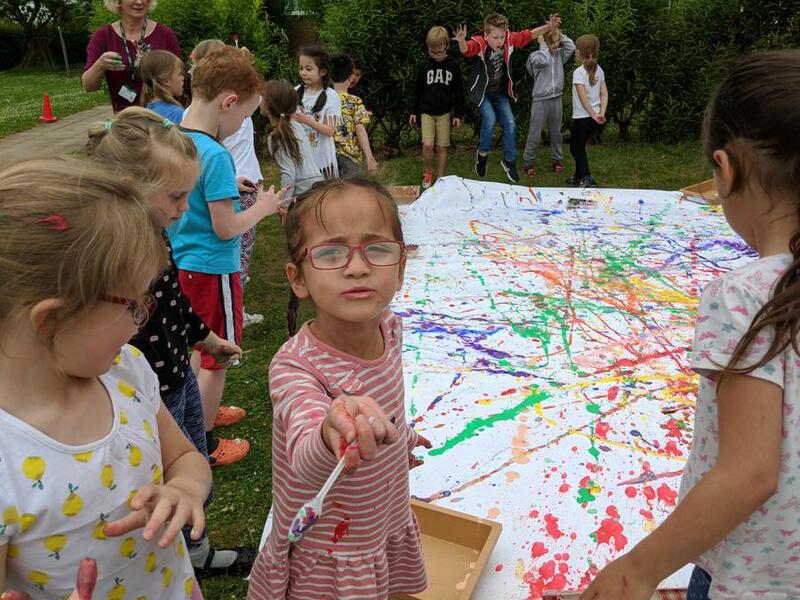 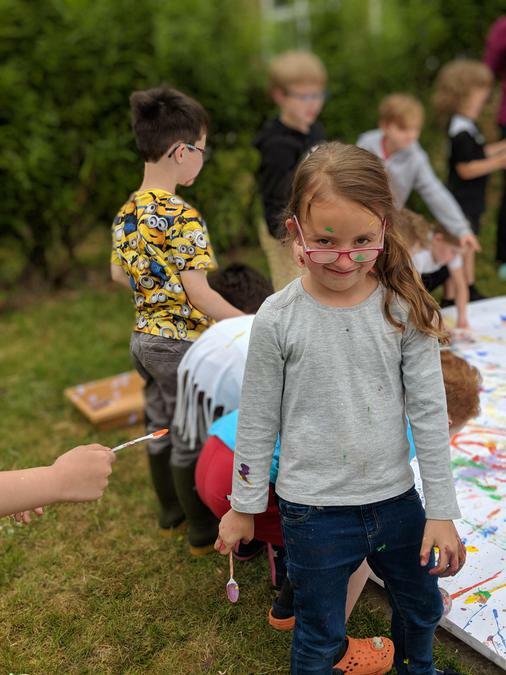 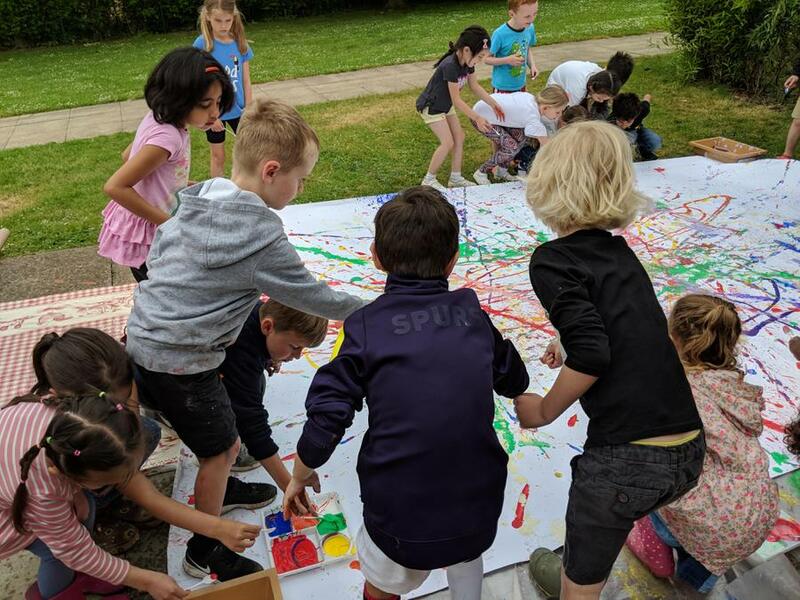 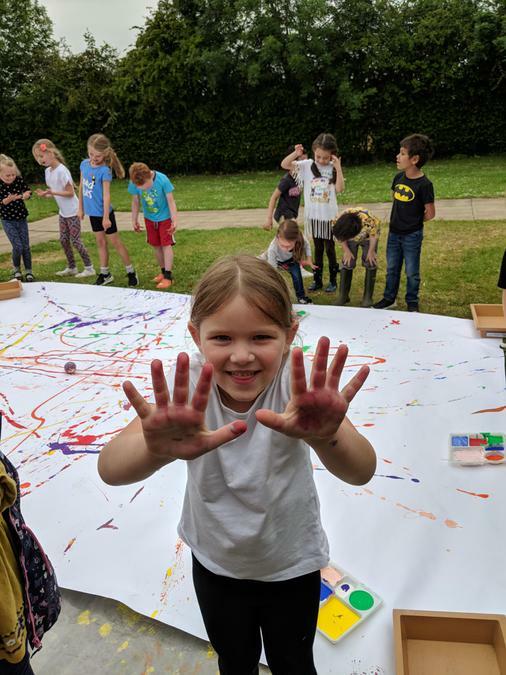 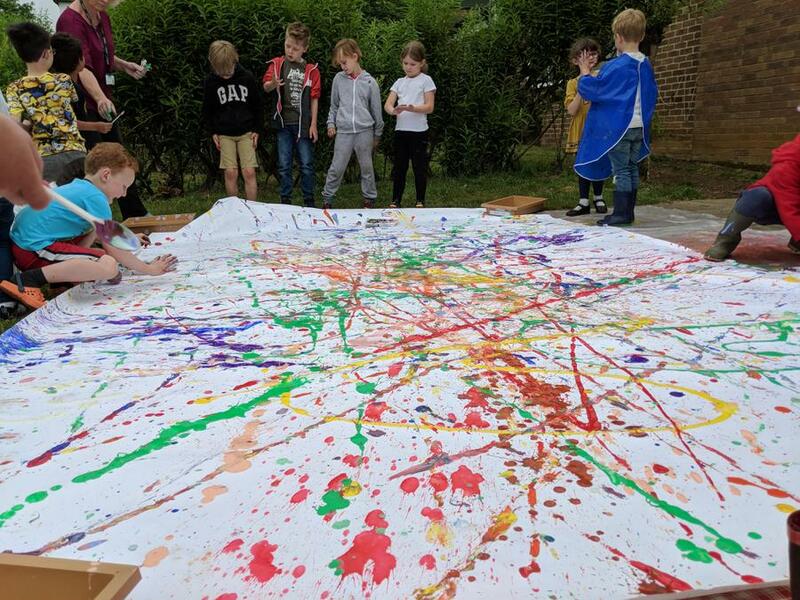 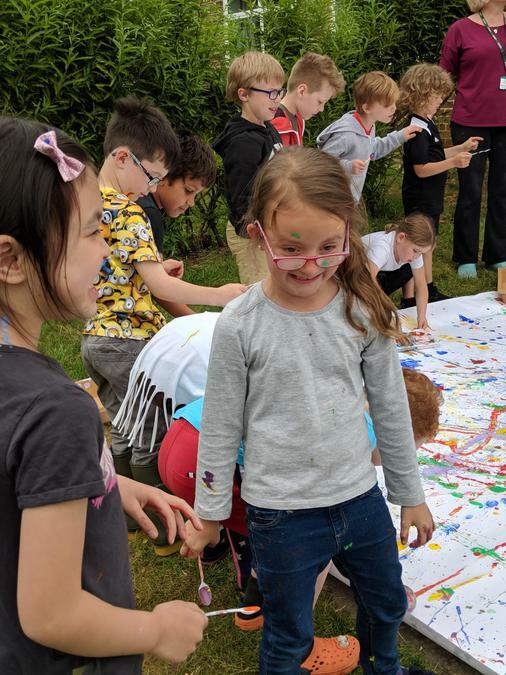 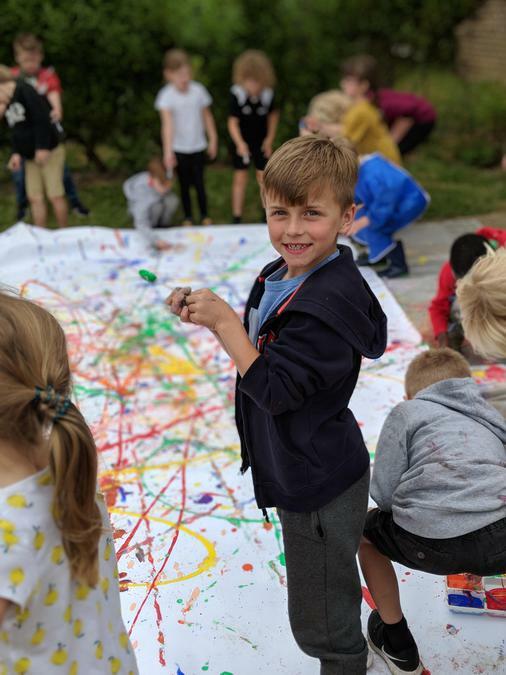 After working on a Jackson Pollock inspired unit of work, they ended it in spectacular fashion with a highly colourful and creative outdoor art session that everyone seemed to thoroughly enjoy as you can see from the pictures below!